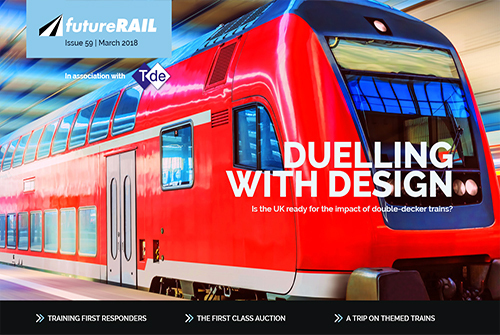 In this issue: making the case for rail station devolution, mapping the world’s most complex metro maps, face-to-face with Fetch.AI, 3D printing in the rail industry, and more. 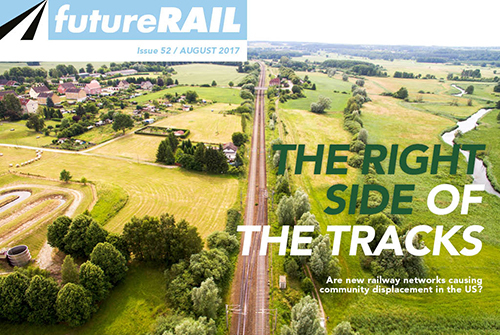 In this issue: Italy’s new high-speed freight service, upcycling in the rail industry, mapping HS2 with autonomous drones, steam-age signalling in the UK, and more. 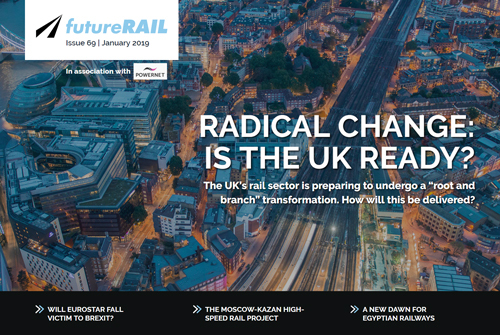 In this issue: a new dawn for Egyptian rolling stock, Brexit pressures on the Eurostar, in conversation with c2c, the latest on the Moscow-Kazan project, and more. 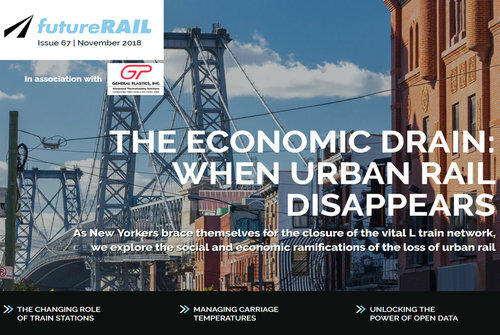 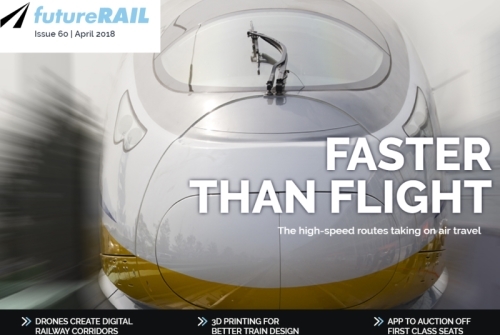 In this issue: the economic contribution of urban rail, top passenger apps, making the case for free transport, VR applications at train stations, the world’s top high-speed routes, and more. 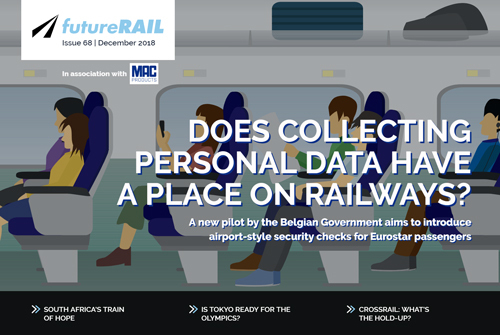 In this issue: South Africa’s Phelophepa train, passenger data collection, getting ready for the Tokyo Olympics, wayfinding in train stations, and more. 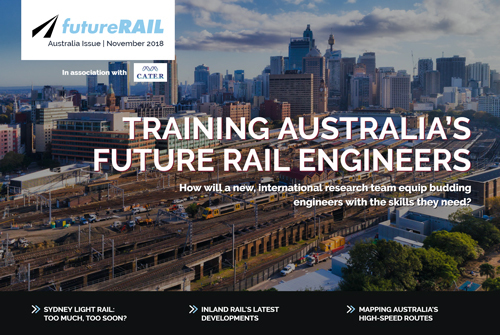 The latest trials and tribulations on Inland Rail, mapping Australia’s potential high-speed routes, a brand new training centre for tomorrow’s engineers, Sydney’s light rail fiasco, and more. 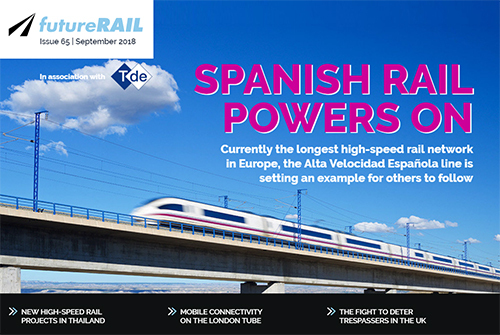 Spain’s high-speed woes, the economic contribution of urban rail, Hyperloop’s first passenger capsule, carriage temperature and more. 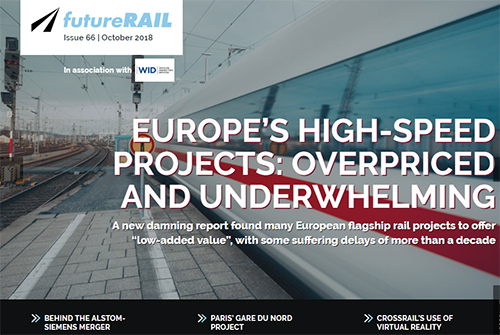 Europe’s high-speed projects, the Alstom-Siemens merger, underground train innovation, railway drones, Paris’ Gare du Nord expansion project, and more. 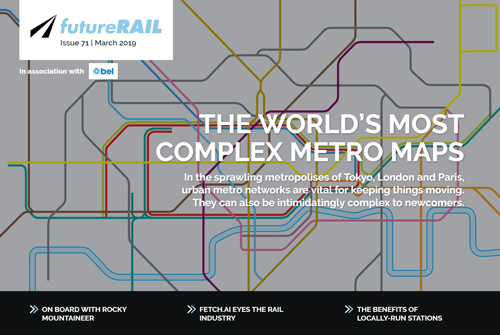 TfL’s plans to bring mobile networks to the underground, Spain’s state-of-the-art high-speed network, how new rail project in Thailand could boost the economy, Brazil’s abandoned lines, retail opportunities for stations, and more. 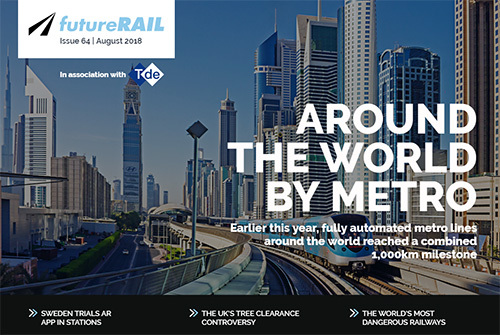 Network Rail’s ruthless new tree clearance plans, an AR app being trialled in Sweden’s train stations, the world’s most dangerous railways, how to improve UK rail fares, a closer look at metro lines around the globe, and more. 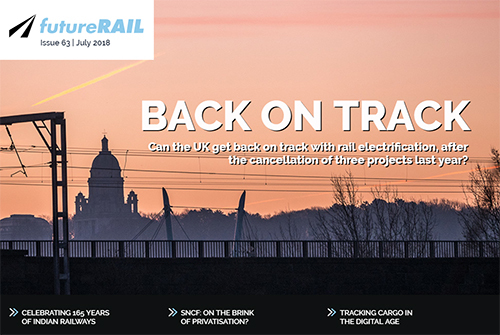 Tracking cargo with digital technologies, the 18km Fehmarnbelt tunnel, upgrading New York City’s subway, 165 years of Indian Railways, plans to reform France’s SNCF rail company, UK track electrification plans, and more. 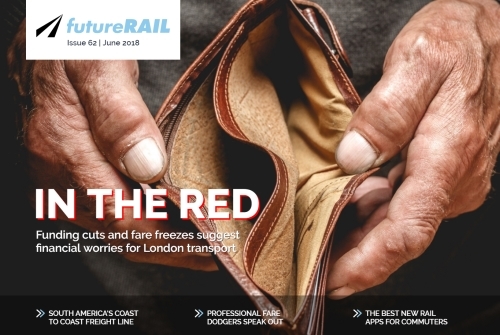 Transport for London’s financial woes, professional fare dodgers, the South American mega freight corridor, the UK’s East Coast Line, ranking global rail hubs, the best rail apps for commuters, and more. 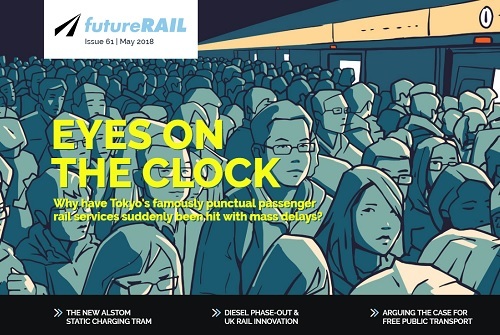 Trouble for Tokyo’s commuters, implementing positive train control, the UK diesel phase-out, Alstom’s station-charging tram, the case for free transit, cross-country tickets, and more. 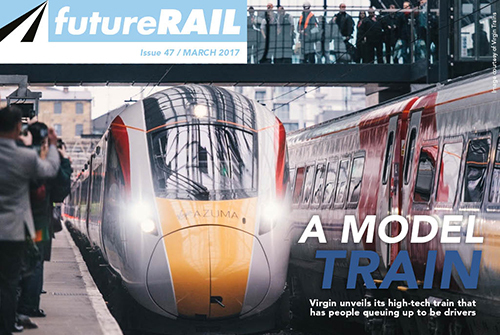 Double-decker trains in the UK, Columbia’s Bogotá metro line, training first responders, themed trains, and more. 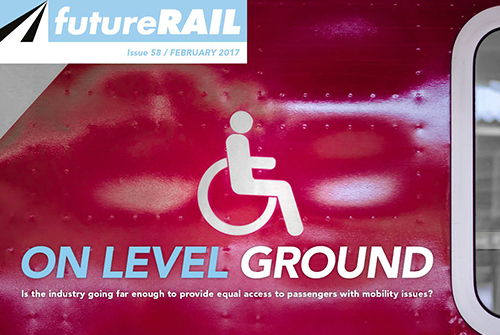 Breaking barriers for wheelchair users, Beijing’s maglev, smart rail, Brenner Base Tunnel, hydrogen-powered trains, solar sleepers, and more. 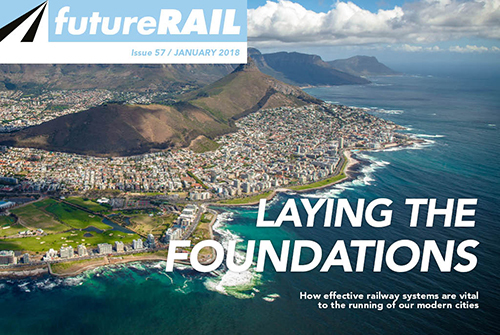 Saving Cape Town’s trains, Amtrak infrastructure, managing night transport, Hyperloop designs, using WiFi for better journeys, commuter input, and more. 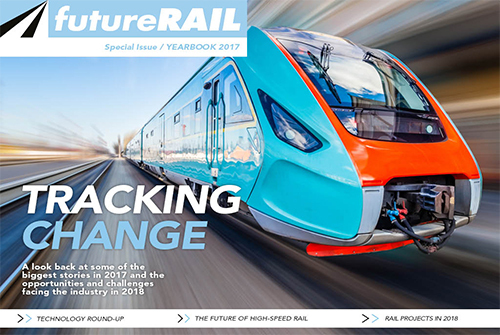 A look back at the top stories, projects and innovations of 2017, developments to look out for in 2018, and more. 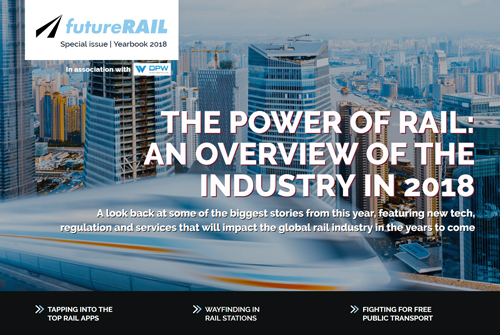 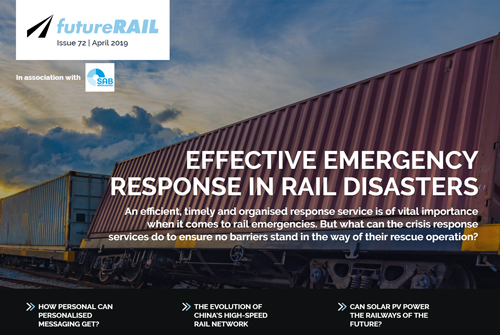 Indian Railways’ solar drive, Australia’s national framework, the Crossrail legacy, signalling problems, ticket price predicting tools, the threat of taxi apps, and more. 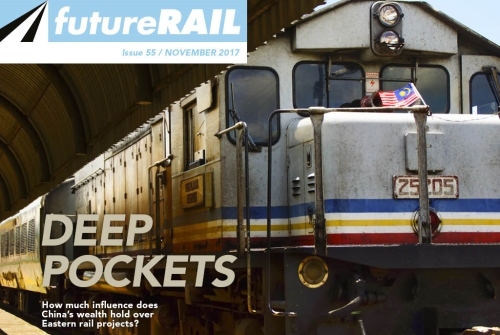 China’s funding of Eastern rail, Australia’s freight corridor, Network Rail reforms, facial recognition tech, cable theft, reliable onboard WiFi, and more. 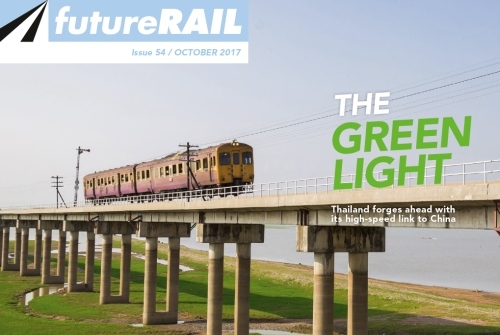 Thailand’s link to China, Stockholm’s landscape bridge, an air-propelled prototype, breathing in London’s underground, drone-based surveying, riding the Mail Rail, and more. 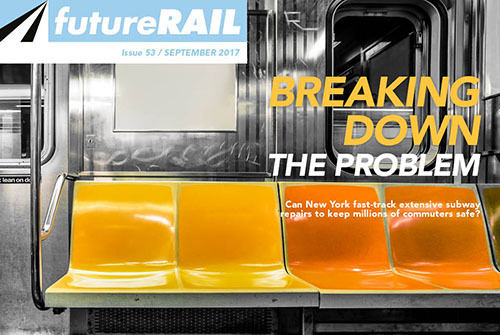 The New York subway, Chinese manufacturers, Europe’s night trains, third-gen rolling stock, the barriers for start-ups, level crossings dangers, and more. 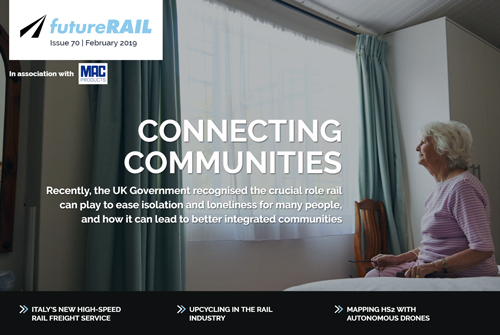 Displacing communities with modern rail, driverless trains in Germany, reopening a disused London station, the Great Lakes Basin project, a Siemens-Bombardier merger, a look in the lost and found, and more. 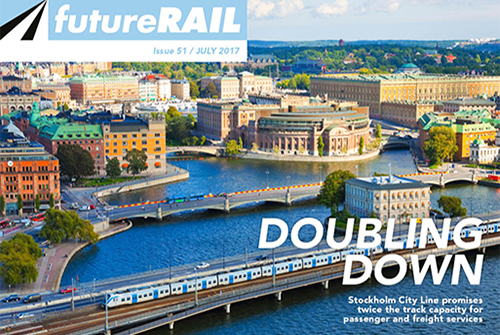 Doubling down on Stockholm rail, positive train control, Ontario express is a GO, sustainable rail tourism, rebuilding Riga station, UK freight’s timetable, and more. 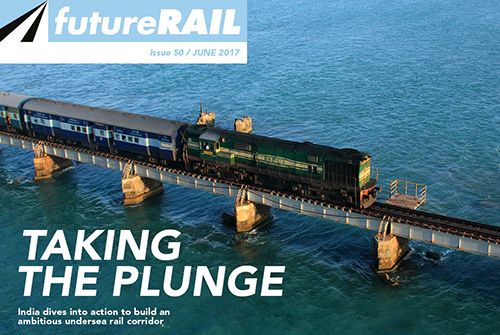 India’s undersea bullet, Montréal’s transit through toxic waste, rolling stock troubles for Queensland, declining freight, Night Tube noise, mapping trains in real-train, and more. 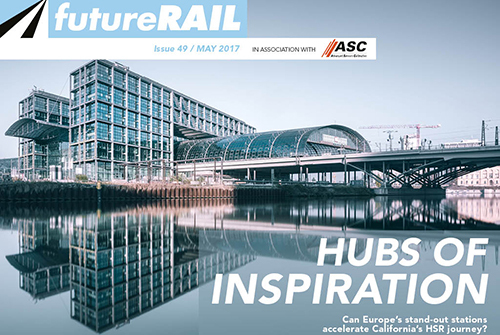 Learning from European HSR design, a corridor to the Baltic states, inner city rail construction, the Texas bullet, driver only trains, shaking up rail fares, and more. 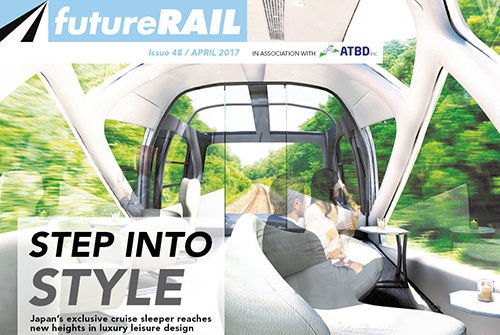 Onboard Japan’s luxury sleeper, China’s high-speed rail transfer policy and direct rail freight for the UK, the unlikely success of monorails, GE’s trainsets for India, Stuttgart’s new station, and more. 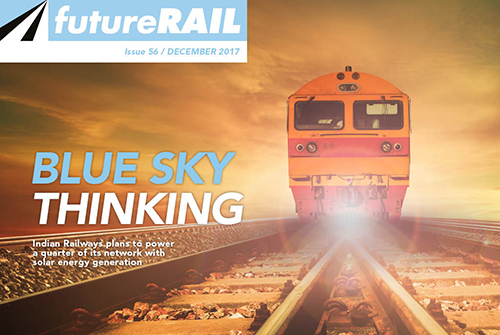 Exporting Japan’s bullet train, what it takes to drive Virgin Trains’ new Azuma, Sydney Metro’s growth spurt, solar-powered trains, engines of tomorrow, combating fake tickets, and more. 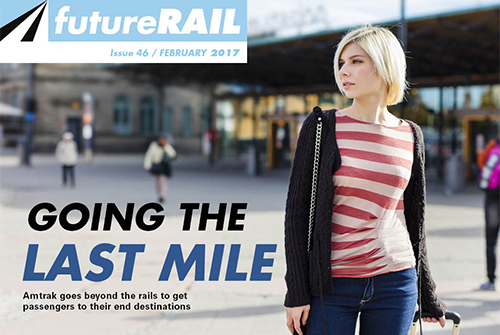 Amtrak and Uber unite for the last mile, open access passenger services, HS2’s second stage, using drones for accident investigations, e-tickets in the Apple Wallet, passenger security, and more. 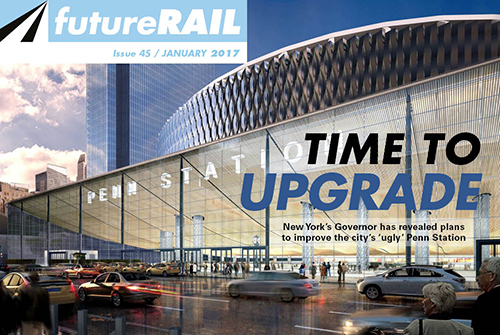 Best of the projects coming up this year, New York Penn Station’s revamp, dealing with delay compensation and alcohol consumption, green alternatives for non-electrified lines, turning locomotives into inspectors, and more.